“You can mimic a result but not creativity” This one quote sums up the free website builders in one sentence. It’s 2018, and the internet is littered with a plethora of free website builders luring people toward the idea of ‘free and easy’ DIY websites. Anyone who is not so familiar with the importance of having an online presence finds the idea of DIYing their own website pretty exciting and budget friendly. Little do they know the drawbacks of not having a thoughtfully made custom website design, crafted perfectly by an expert who is well aware of the nitty-gritty of web design. 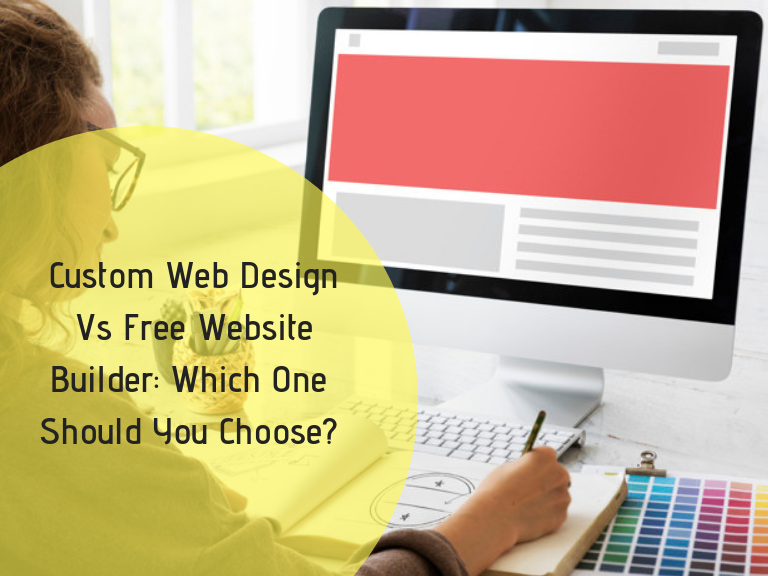 You must be thinking if a free website builder comes with so many options and templates, then why can’t we just go for it instead of going through the hassle of hiring a design company. After all, with free builders, you can put up anything as per your convenience. And cherry on the top they are “cheaper” with unlimited “drag and drop tools,” and as you saw on google, there is “no tech skill required” to create one. Putting all the misperceptions in context, below we have addressed all these questions regarding free and custom web design. Hope this will clear your vision on having a website design that makes your business stand out in the sea of the same. One size fits all –This is the main idea free website builders try hard to convince you on. On the other hand, this is the idea we want you to steer clear of. When it comes to web designing, things don’t work this way. There may be a web design you find great for a particular business, when used for another genre, may end up being a disaster- a total mismatch. Free website builders, despite coming with 1000 options, lack in many aspects. No matter how much effort and time you have put in the process, the insufficiency of features will always be there. Yes, we agree that website builders are much affordable and budget-friendly as compared to the custom web design. But, there is a reason that they are feasible and unfortunately the reason is design and performance limitation. Website builders do one particular thing exceptionally, but when you need something else you have to open custom CSS, therefore you will eventually need someone with technical expertise to get the job done for you. Isn’t it better to get it done by a professional right from the beginning? Despite choosing the theme, colors, and features considerably, there will always be “one feature” that you will be falling short of at the end of the day. That one feature will never let you breathe in peace until you find yourself an alternate way to get that “one thing” done for your website, or else you will never be satisfied with the end result. Custom web design vs. website builders is actually two options where you have to settle on “either versatile or on fixed.” Themes and templates that website builders offer you are not thoughtfully built to fit on all devices or browsers. 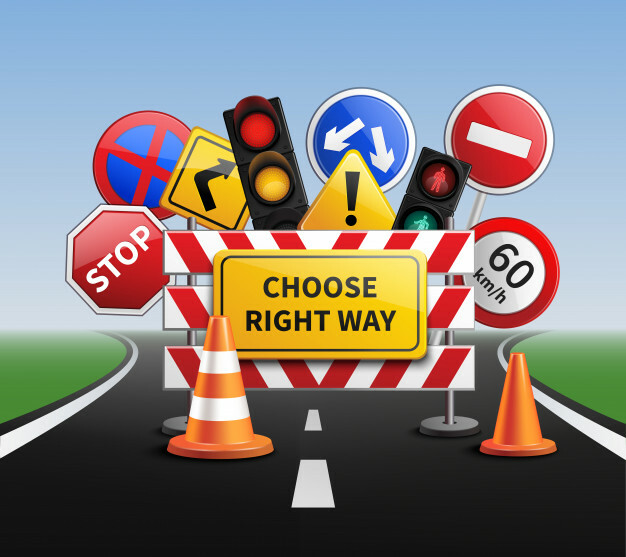 Either you want it or not, you will have to compromise and deal with the roadblock, which eventually causes glitches in your online presence. On the other hand, custom web designs open a box of choices you can choose from. A dedicated web designer makes sure that your website is versatile in all aspects and not a single element is out of proportion. To put it another way, a custom web design saves you from the hassle of searching the silly hacks and annoying alternatives. Everything you want in your web design will be well taken care of by the professional and expert web designers. Website builder often fails to evaluate if the design elements are suitable for your website and they are going to load well across all the devices and browsers. Website builders focus on the aesthetics and the beautiful appearance. In that struggle, they neglect the aspect of performance and functionality. With website builders and their drag and drop options, you have to compromise on either one or another element, which is not the case with custom web design. Here you get the freedom to have each aspect designed just the way it is supposed to be. This is one of the reasons website builders cannot match the standard that a custom website provides. No matter how stunning content you have planned to put up on your website, with free website builder, you will always be restricted to make adjustments as per the template you have been working on. On the other hand, with custom web designing a web designer will always be up for making alterations in design to fit the content where you want it to be. Free website builders not only limit your content but also comes with icons and themes which leave you with no other option but forceful cramming. On the contrary, custom web design gives you the authority to set things up as per the needs that are specific to your business. With custom web design you get the freedom to put up whichever content you want to go with. Whether you wish explainer videos to be the main feature or you want charts, reports or figurative explanation you can go with anything you want, without compromising on the look and feel of your web design. With website builders, you adjust yourself as per the template. 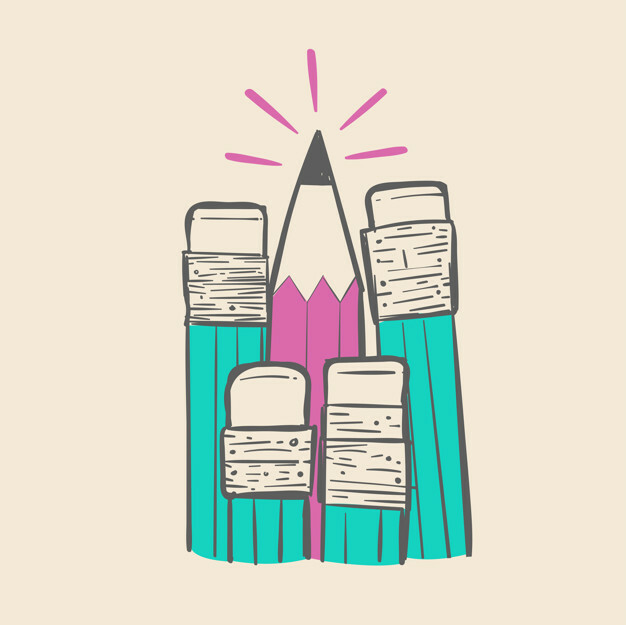 In contrast, with custom website design, you can make any adjustment and alterations to fill out the gaps and can make your content stand out without making compromises. People usually don’t want to go through the hassle of redoing their web design again and again. They just want to have it made once and wish it to remain nice and functional as long as can be. But unfortunately, this rarely happens with the websites that are cheap or made with online website builders. Website is something that you can’t leave stagnant and untouched for years and years. If you do so, you should not expect it to work wonders for you. If you really think so, it’s time for the reality check. Websites and the technology associated with them keep evolving constantly. Therefore, they are supposed to be adjustable and adaptable to fit the need of the time. But the question is; how can you develop a website that can prove itself adaptable in the future? The answer is efficient coding. Website should be coded in a well-organized and clean manner. In other words, each and every aspect of the website should be easy to change or update, only then a website can be sustainable and perform for long without causing any glitches whatsoever. Beware of the amateurs who with no professional background claim to build you a website for your startup business. Equally important, be wary of the claims of website builders who lure you to invest in cheap and easy to create websites. This kind of website may cause you unwanted troubles for years to come. In short, upfront they seem quite feasible and worth considering, however, in reality, they are no less than a lingering hassle for your business. If you want to create a unique brand identity, then you should definitely opt for the custom websites. With custom web design, comes the liberty to mold your website as per your business modifications. Be it on the design side or the development side, when you choose to go with a custom web design you get the control over each and every aspect. Your website is deemed as the center of your online presence, considering the fact, each and every feature of your web design, be it the icons, banners, header/footer, color scheme, text content to animated elements should be able to reflect what your brand wants to convey. If you can’t present your brand persona with your web elements, undoubtedly it’s a waste. Over the time your business might require a total rebrand, in that scenario you can get in touch with your professional website developer/designer and get your website redesigned for the rebranding purpose. You can add or subtract features whenever you want and share a unique brand identity with the world, just the way you want. Free website templates may be a good option for you to save a few bucks. However, you cannot create a unique and exclusive brand identity with free website builders. One way or another, you will have to pay the cost by compromising on your brand uniqueness and website quality. In other words, never compromise on your brand image only to save a few dollars, it is worth it. Instead, go for a website that could effectively reflect your brand values. With custom web design comes the liberty of giving specific instructions as per the branding needs. Every business is different in one way or another, likewise every business targets a different target market. Different things attract and interest them. Therefore your branding can’t be same or generic. If it i, it won’t be able to fetch you the kind of results which you expect to achieve with your online presence. Your brand’s personality is a big deal so treat it like a big deal, never rely on something generic. Reach your target market with a unique approach and be focused on creating an exclusive brand identity with your web design, which is only possible with custom web designing. Before getting your hands on a free website builder, one thing you must be careful about is the vulnerability you might be having to face ahead. Since, website builders come with drag and drop options, with ease of no coding; with them come the risks that you won’t pay attention to unless you have to cope with website security issues. Stay conscious of the susceptibilities associated with free and easy websites as they are always the soft-target for the hackers. In conclusion, getting a free, easy, no coding website seems like a fantastic idea at first, unless you deal with the downsides come attached with the free website builders. Instead of cutting corners, go an extra mile and hire a professional who could help you build a unique, appropriate and striking online presence. Your today’s investment will bring you long-term benefits, the need here is to just putting that in the right place.